Digital terrain models are invaluable datasets that are frequently used for visualizing, modeling, and analyzing Earth surface processes. Accurate models covering local scale landscape features are often very expensive and have poor temporal resolution. This research investigates the utility of UAV acquired imagery for generating high resolution terrain models and provides a detailed accuracy assessment according to recommended protocols. High resolution UAV imagery was acquired over a localized dune complex in southwestern Manitoba, Canada and two alternative workflows were evaluated for extracting point clouds. UAV-derived data points were then compared to reference data sets acquired using mapping grade GPS receivers and a total station. Results indicated that the UAV imagery was capable of producing dense point clouds and high resolution terrain models with mean errors as low as -0.15 m and RMSE values of 0.42 m depending on the resolution of the image dataset and workflow employed. Terrains models are three-dimensional representations of a part of Earth’s surface (Li et al., 2004). These include Digital Elevation Models (DEM) and Digital Terrain Models (DTM), which are both bare Earth surfaces; the later including topographic elements such as slope, aspect, curvature, and gradient; and Digital Surface Models (DSM) that portray all surface features such as vegetation and built structures (Li et al., 2004). All three are typically raster data models that convey a visual impression of the landscape that is easier to interpret and understand than two-dimensional maps since they more accurately represent our perception of Earth. Terrain models are valuable tools for Earth surface interpretation and analysis and are used in a variety of disciplines. They are important data sets for geomorphological research because surficial features can be visualized, processes operating on landforms modeled, and rates of surface change predicted (Cavalli et al., 2008; Frankl et al., 2010). They are also frequently used in hydrological modeling to delineate watersheds, natural streams, and sinks (Hopkinson et al., 2009; Murphy et al., 2008) and have also been used extensively for land use planning and site selection and suitability analyses, including the prediction of fish densities using stream channel gradients (Wissmar et al., 2010) and for the identification of critical habitat for endangered species according to prescribed surface characteristics (Moran & Button, 2011). In addition, they are often used to perform line of sight and viewshed analyses to determine optimum locations for structures and facilities such as communication towers and wind turbines (Akella et al., 2010; Möller, 2006) and are frequently used for erosion modeling, calculating the loss of glacial ice, or performing cut-and-fill analyses to determine the volume of earth, rock, or water located within a defined area of interest (Chen et al., 2006; Keutterling & Thomas, 2006; Thoma et al., 2005). Terrain models are commonly developed using three-dimensional coordinates derived from one of three sources: ground surveys, remote sensing techniques, or existing hardcopy or digital topographic maps. The resulting spot elevations or point clouds are then processed to produce a terrain model using an interpolation algorithm that produces a raster model at a user-defined spatial resolution. Ground surveys traditionally employed plane table surveys and theodolites to acquire the horizontal and vertical position of control points across an area of interest (Wolf, 2002). However, modern surveying techniques typically utilize either a total station, combining a theodolite and electronic distance measuring device (EDM), or Global Positioning System (GPS) receiver (Wolf, 2002). While total stations are capable of collecting coordinates to within millimetres, they are generally labour intensive and, thus, only used when working on small, localized study areas a few hectares or acres in size (Rayburg et al., 2009). 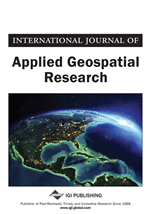 Conversely, survey or mapping grade GPS receivers are capable of attaining decimetre level accuracy and covering considerably larger areas with significant increases in efficiency (Baptista et al., 2011). The ability to accurately record three-dimensional coordinates at almost any user defined sampling interval enables ground surveys to produce high resolution terrain models with minimal to moderate investment in equipment, however, labour costs are typically quite high.